Film v. Bullet Men's T-Shirt! Made in USA; 100% Designed & Hand Printed by The Medium Control; Fits true to size; Minimal Shrinkage; We always print on the highest quality American Apparel Shirts; Brown Heather is a Tri-Blend T-shirt. Tri-Blend t-shirts contain: 50% Polyester / 25% Cotton / 25% Rayon. 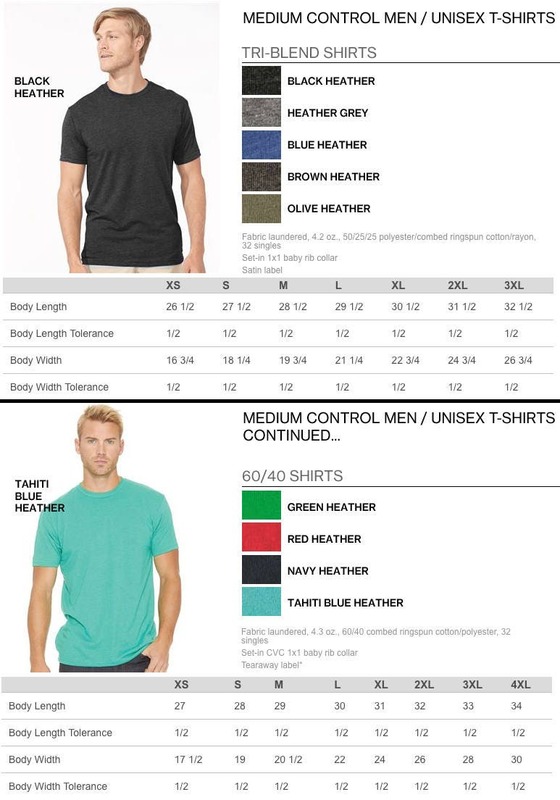 Blue Heather, Olive Heather & Red Heather are 50/50 blend shirts containing 50% Polyester / 50% Cotton. Original quote written to inspire. 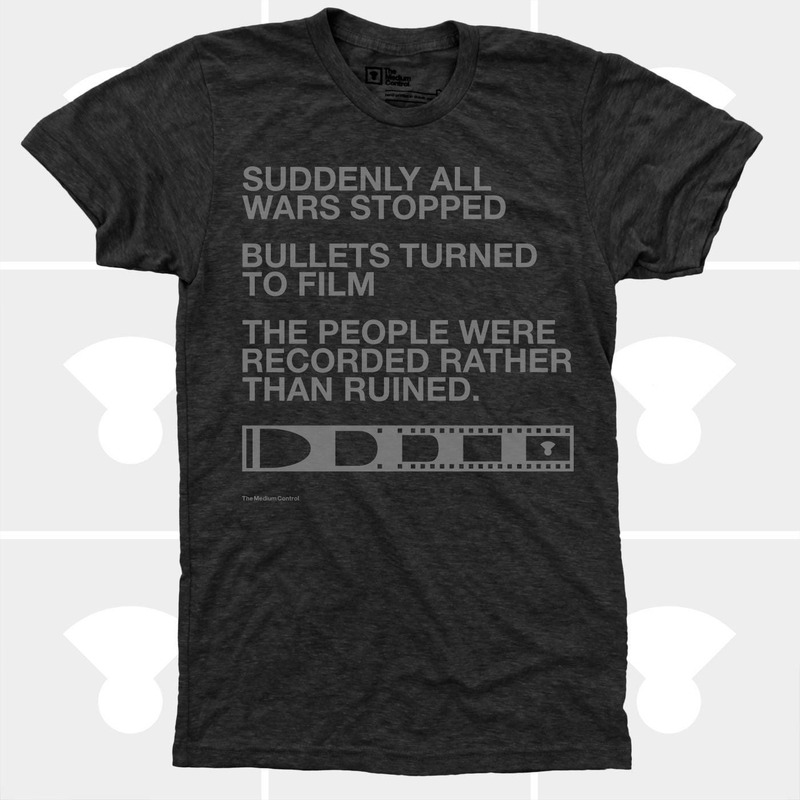 "Suddenly all wars stopped. Bullets turned to film. 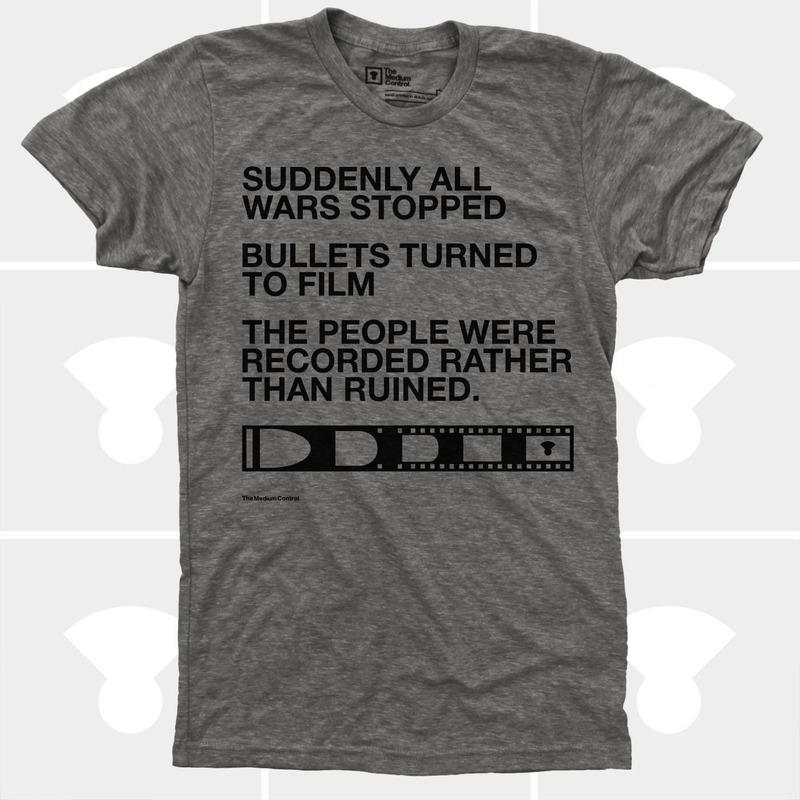 The people were recorded rather than ruined." - Tommy K.